After spending some time with the Samsung Galaxy S II Epic Touch 4G, it is easy to see why this savvy smartphone receives such praise and fanfare. 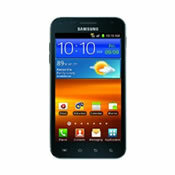 Until AT&T’s Samsung Galaxy S II Skyrocket hit the scene, the Epic Touch 4G was indeed regarded by many as the most powerful new smartphone on the market. It was the first Galaxy S II model to enter the USA mobile phone market, and has done remarkably well with sales and customer satisfaction. Continue on to find out where to buy the Samsung Galaxy S II Epic Touch 4G. While the Epic Touch may be new to U.S shores, it has been on sale in the UK and other old world countries for a few months now. That said, Samsung knew they had to do something to sweeten the deal for their American customers and as such the Epic Touch has gotten a slightly bigger screen, 4G via WiMAX as well as the usual assortment of Sprint preinstalled apps. Overall, not much has changed design wise and the Epic Touch 4G looks very similar to its companions on AT&T, Verizon and T-Mobile. Unlike the Epic 4G on Sprint which carried a physical keyboard, the Epic Touch 4G lacks a physical keyboard though there is rumor that a physical keyboard variant will possibly be coming to the network shortly. Moving onto specs, we are greeted with a Exynos sourced dual-core 1.2GHz processor, dedicated GPU, 1GB of system RAM, 16GB of internal storage and microSD expansion slot for cards up to 32GB in size. The screen is 4.52-inches with 480 x 800 pixels. Moving along to the camera, we are greeted by a beefed up 8 megapixel sensor, LED flash, 2 megapixel front facing camera, with hull 1080p video recording at 30fps available for the rear facing camera. Last but not least, we have dual-band CDMA, WiMAX and A-GPS radios, Bluetooth 3.0, Wi-Fi 802.11b/g/n/a, microUSB 2.0, microHDMI, DLNA and gyroscope, compass and SyncML for added benefits. The operating system of choice is Android 2.3.4. Now that’s a feature set that makes it worth wile to make a move to buy the Samsung Epic Touch 4G. This is one powerful device. Nothing we threw at this device seemed to choke it except for the occasion 1080p Flash video content. Multitasking is a breeze and so enjoyable and navigating this device feels as smooth as navigating a Windows Phone 7 or iOS device. Samsung has really set a high bar for other manufacturers to reach. The praise kept flowing when it came time to review the screen. While a bit on the large size, all those reservations were displaced once we turned on the screen and noticed the magnificent colors. Samsung didn’t increase pixel count, but they made up for that with an improved AMOLED panel, one that definitely trumps anything we have seen on the Android or iOS scene. Things continued to stay positive concerning the camera. We had no complaints with the 8 megapixel shooter and overall pictures were crisp and properly saturated with no detectable distortion in color under normal conditions. The front facing 2 megapixel camera is perfect for video and performed nicely in our tests as well. Last but not least, battery life was exceptional. Standard battery drain tests yielded 5 ½ hours. It’s safe to say that should you forget your charger at home for the day, you will not have to worry unless you plan to watch Inception and Titanic back to back. We normally have a long list of improvements companies could have made with their mobile phones. However, after reviewing the Epic 4G Touch, we noticed that the only major gripe on our list was the lack of roaming capabilities (hint: GSM radios). Suffice to say, this is the best performing Android device we have ever tested and we cannot imagine how much better it will be once Android 4.0 Ice Cream Sandwich arrives from Google’s chilly freezers. In the end, we couldn’t find any issues with the Samsung Galaxy S II Epic Touch 4G smartphone, and we consider it to be among the elite when it comes to high quality, powerful, and exceptional smartphone experiences. The Epic Touch 4G is exclusive to the Sprint 4G Wimax network, however AT&T has a similar model with the Samsung Galaxy S II Skyrocket, as well as another base model of the Samsung Galaxy S II, while T-Mobile has their own version of the Samsung Galaxy S II as well. Find out where to purchase Sprint’s Epic Touch 4G.